A former chaplain to one of the toughest prisons in Scotland has been nominated as next Moderator of the General Assembly of the Church of Scotland. The Rev David Arnott, who was chaplain at Barlinnie Prison in Glasgow was named by the Committee to Nominate the Moderator as Moderator-Designate. Mr Arnott will preside over the 2011 General Assembly of the Church of Scotland. A regular presenter on BBC Radio Scotland’s Thought for the Day for more than 35 years, he has also contributed to Radio 4’s Prayer for the Day, Scottish Television and Grampian Television. David Arnott was born in Dunfermline, Fife, and after a scholarship year at Hamilton College in Clinton, New York, he was taught at the University of St Andrews and the University of Edinburgh, graduating in MA French and Spanish and a Bachelor of Divinity (Honours) New Testament. Mr Arnott and his wife Rosemary have three grown-up children and six grandchildren. Following a probationary placement at St Ninian’s Parish Church in Greenock in 1971, the Moderator-elect was ordained to Stobhill Parish Church in Gorebridge. The congregation had recently endured trying times before he confidently led into a triple union in 1975 in the renamed Gorebridge Parish Church. Two years later he was called to Netherlee Parish Church in Glasgow. During his time there he encouraged the wider mission of the congregation by strengthening its ties to St Andrews Church in Colombo and the wider community in Sri Lanka, making new links with a local UPA (Urban Priority Area) congregation and establishing firm relationships with a church and school and its wider community in Transylvania. The links he forged still remain strong today. During his time preaching in Glasgow, he spent two years as a part-time chaplain at Barlinnie as well as serving on many committees in Glasgow Presbytery and was Convenor of its Business Committee, during which time he directed the restructuring of its committee system. In 1996 he was inducted to his last charge at St Andrews: Hope Park which was linked to Strathkinness Church in October 2005. While there he served as a local hospital chaplain and chaplain to two primary schools. He also served as an honorary Church of Scotland chaplain at the University of St Andrews. During his time in St Andrews he was Convenor of both the Ministry Committee and the Superintendence Committee and was Moderator of the Presbytery in 2007. Throughout his church career Mr Arnott has served on various Church of Scotland boards and committees both at presbytery and national level. He has been Convenor of the Education for the Board of Ministry. Having been assessor at the then Selection Schools, he was invited to join a small working party which remodelled the selection process for applicants to ministry. From 2006 to 2009 he was Senior Director of the Kirk’s new Assessment Conferences. Whilst on the then Board of Practice and Procedure he was invited to convene a commission for the General Assembly examining the future of the Presbyteries of Europe and Jerusalem. He was also the Convenor of the General Assembly’s Arrangements Committee and also the General Assembly’s Business Committee. For several years he asked to address an annual conference for Church of Scotland candidates on preaching and other subjects. The General Assembly of the Church of Scotland is chaired by the Moderator, who leads daily worship, keeps order, rules on points of order and signs documents on behalf of the General Assembly. The role is an honorary one and is held for 12 months. 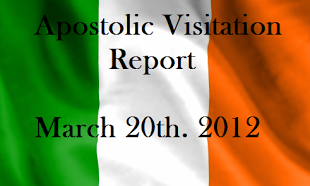 During the Moderatorial year the post-holder generally travels as Church representative in Scotland, Ireland and other parts of the United Kingdom, as well as travelling overseas in an ambassadorial capacity.